Let’s look at the various scouting regions available in FM14 to see how they match up with the factors we have established. The scouting region UK & Ireland consists of the following nations; England, Northern Ireland, Republic of Ireland, Scotland, Wales. Looking at the criteria we have established, these are our conclusions. There is plenty of talent available in the region, especially in England. The English Premier League is full of talented players and even the lower levels have some talented stars for you to sign. The Scottish league harbours some talented players as well. The Welsh, Irish and Northern Irish league usually don’t produce players you can sign for first team duties immediately, unless you’re playing as a smaller side, outside of the top division. Looking at the Youth Ratings for this region, we can see that England is the go-to nation in terms of quality newgens. All the nations in the region are capable of producing talent, though only England and Scotland possess big clubs capable of regularly producing talent. Wales seems a bit of an exception, as most Welsh newgens are spawned by Swansea and Cardiff, clubs active in the English leagues. Fluctuate wildy within the region. If you’re going for Chelsea players, you’re going to pay a lot more compared to going for players from Doneghal Utd for example. With these fluctuating prices comes possibility for everyone though, even clubs on a tight budget can shop in this region. Maybe not in England, where many players seem reluctant to move abroad, but the other countries are fair game. Irish and Northern Irish players are active in low-key leagues and are thus rather motivated to better themselves. Because of the low reputation of these leagues and their clubs, they are generally available for low fees. In terms of newgen-hunting, England is a nation to stay clear off. The better players generally spawn for big clubs, which means you pay through the nose to sign them. With the home-grown rules in place, the prices for UK-based players are very inflated for young players, which makes signing these players an expensive endeavour. Ireland, Northern Ireland, Wales and to a lesser extent Scotland are interesting options. In Wales and Scotland, you are going to have to compete with the local powerhouses for newgens though. Much like the transferfees, the wages tend to fluctuate wildy within the region. Premier League and Championship players are going to be expensive, anything below that is fair game and decently priced in terms of wages. In Scotland, it’s Celtic and Rangers who are capable of playing top wages, the other players are fairly cheap. Welsh, Irish and Northern Irish clubs are not able to offer very high wages, so the wages are relatively low. When we look at the newgens, we again see that English newgens are very demanding in terms of wages. The Scots, Irish, Northern Irish and Welsh are relatively cheap, but will probably still command decent wages depending on their reputation. Their wage demands are generally speaking lower than their English counter-parts though. Signing players from this region is relatively easy. There are no rules in place that restrict their transfer-possibilities in relation to their age and most countries do not require work permits for English players, especially not within the EU. In terms of their availability, that’s a definite pro. Beyond high profile signings, there is no actual commercial value for players within this region. Don’t expect to see your merchandise income to sky-rocket because you sign someone from this region. The scouting region Eastern Europe consists of the following nations: Albania, Armenia, Azerbaijan, Belarus, Bosnia & Herzegovina, Bulgaria, Czech Republic, Estonia, FYR Macedonia, Georgia, Hungary, Latvia, Lithuania, Moldova, Montenegro, Poland, Romania, Russia, Serbia, Slovakia, Slovenia and Ukraine. Looking at the criteria we have established, these are our conclusions. It’s one of the larger scouting regions in the game and a bit of a mixed bag in terms of talent. On the one hand, there are some established interesting regions such as the Balcan states, Russia, Ukraine, Czech Republic, Bulgaria and Romania. On the other hand, some of these states are not interesting at all, such as the Baltic states, Georgia, Moldova, Albania, Armenia and Azerbajian. There’s even a middle group in there, that tends to have to odd interesting player, but does not regularly produce players you can actually use. Given that the scouting region is such a large one, it’s an interesting region for managers at every level. A special mention goes out the reserve squads in the Ukranian league. The reserve teams of clubs like Dynamo Kyiv and Shakthar Donetsk often contain classy youths or out-of-favour established players you can either loan or sign. These are all instant-impact players, capable of giving an immediate boost to your squad. 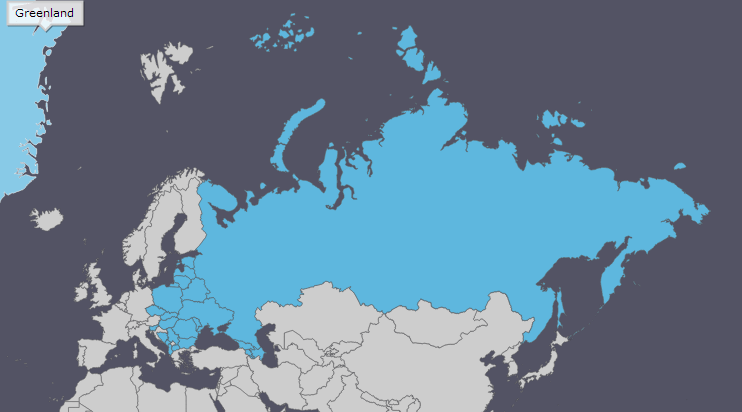 Looking at the Youth Ratings for this region, we can see that Russia is the go-to nation in terms of quality newgens. That’s not to say that the various other nations do not offer a chance of getting a decent newgen. The Balcan nations, especially Serbia, are renowned for producing top newgens. Special mentions in this regard go out to Red Star Belgrade and Partizan Belgrade, both clubs you ought to investigate when looking for talented newgens. The same goes for the Russian clubs, but for reasons I will look into in the next paragraph. Fluctuate wildy within the region. The big money is in the Russian and Ukranian leagues, where clubs can even afford to sign European and South American internationals. Signing players from these clubs tends to cost you an arm and a leg. On the other hand, most of the other leagues are not high-profile or financially powerful, which means players can be purchased for relatively low prices. In terms of newgen-hunting, Russia offers a unique opportunity to get value for money, as many newgens can be signed for as little as 4k if you snap them up a few days after they are generated by the game. These strange values for newgens also apply to players from the Moskovite clubs and Zenit St. Petersburg, which means you can get absolutely brilliant players for the same amount of money Gareth Bale makes in a few hours. The other nations in the region seem more normal in terms of transfer-sums for newgens. This means you have to pay a few hundred thousand for every newgen you sign, which is far from excessive in terms of transfer sums. When you are too slow and the lads have signed actual contracts with their clubs, you will have to pay more inflated fees, but still a lot lower compared to the fees you pay for UK & Irish players. Much like the transferfees, the wages tend to fluctuate wildy within the region. Russia and the Ukraine are the richer nations in the area, thus signing players from these countries is always going to be a costly affair, with most of them demanding pretty high wages. Most of the other nations are relatively cheap however. Low reputation leagues make for fairly cheap wages. About half of the players from Eastern Europe are subject to work permit requirements, with a few notable exceptions. Poland, Czech Republic, Slovakia, the three Baltic states (Estonia, Latvia, Lithuania), Hungary, Slovenia, Bulgaria and Romania are considered EU nations. The players from the remaining nations do require work permits to move abroad. In terms of the interesting Russian newgens, this means your players require a work permit to sign for British clubs. A second hinderance in signing these talented Russians is the rule that U18 Russians are not allowed to sign for foreign clubs. The same applies to Ukranian newgens. The scouting region Eastern Europe consists of the following nations: Andorra, Austria, Belgium, France, Germany, Holland, Italy, Liechtenstein, Luxembourg, Portugal, San Marino, Spain and Switzerland. Another large scouting regions and this one contains the more high profile European leagues. To be fair, it’s a must in terms of scouting. Despite the presence of minnow leagues, which are prone to produce nothing of interest, I highly recommend you scout this region. Germany, France, Italy, Spain, Portugal, Holland, Belgium, Austria and Switzerland are worthwhile and possess quality players for every level of club. An interesting possibility in this region is the presence of reserve squads in the Spanish league. The reserve teams of clubs like Barcelona, Real Madrid and Atlético Madrid often contain classy youths or out-of-favour established players you can either loan or sign. These are all instant-impact players, capable of giving an immediate boost to your squad. Similar possibilities arise with the reserve teams in Portugal, the B-teams in France and the Amateur teams in Germany. Another interesting option is the Italian league, many of the top sides in the Serie A are compulsively hoarding talented players worse than the crazy cat lady from the Simpsons hoards cats. With so many players in a single squad, there are always players who are not getting first team football and are thus motivated to force a loan or transfer move. The smaller nations are not interesting. San Marino, Luxembourg, Andorra and Liechtenstein generally never produce anyone worthwhile signing. They are part of the region, but are generally a waste of time for your scouts to visit. Fortunately, these countries are all small so a scout generally spends a week or less in this specific country before moving along to a different country. Looking at the Youth Ratings for this region, this is an area that has some of the strongest newgen spawning grounds in the game. Germany, Spain, France, Italy and Holland are all must-go’s in terms of good newgen scouting grounds, whilst countries like Belgium, Portugal, Switzerland and Austria are prone to produce a few good players every season. This is definitely a must-scout area when looking for newgens. Fluctuate wildy within the region. The big money is in the Bundesliga, Serie A and La Liga, whereas clubs like Monaco and PSG are inflating the prices in the Ligue 1. There are leagues where clubs can afford to splash the cash around, thus inflating the prices for players. Signing players from these leagues tends to be a costly affair, though they are undoubtedly talented and ready for the very highest level. Players from the other leagues like Belgium, Holland, Portugal, Switzerland and Austria tend to be cheaper, though the odd talented player can make a high-value transfer. Most of the players in this league tend to be fairly cheap and as you go down to the lower divisions, prices become even more interesting. In terms of newgen-hunting, Austria offers an opportunity similar to the Russian leagues I mentioned earlier to get value for money, as many newgens can be signed for as little as 20k if you snap them up a few days after they are generated by the game. This means you can sign players from the top Austrian clubs such as Austria Wien, Rapid Wien and Red Bull Salzburg, which means you can get absolutely brilliant players for the same amount of money Paris Hilton spends daily on new clothes and shoes. The other nations in the region generally offer pretty steep prices depending on the parent club. The rule of thumb is basically the bigger the club you want to cradle-rob, the more inflated the transfer fee. Ergo, signing players from Barcelona or FC Bayern is a lot more expensive then signing players from Celta de Vigo or 1860 Munich. The trick is to find clubs that tend to produce good players but have a lower reputation. Much like the transferfees, the wages tend to fluctuate wildy within the region. If you’re going for high profile La Liga, Serie A or Bundesliga players, you’re going to pay excessive wages. If you’re after talents from the Eredivisie or the Ligue 1, the wage-demands tend to be lower. Depending on what you are after, you can scout the leagues and competitions you want to. Every country in the region is part of the EU, so players can move around Europe unrestricted. The scouting region Eastern Europe consists of the following nations: Croatia, Cyprus, Greece, Malta and Turkey. I had initially placed Croatia in the Eastern Europe region and simply looking at the map, it seems to make no sense at all that Croatia is lumped in this particular scouting region, whilst its neighboring countries and main rivals are included in a different region. However, this is how it is and the incomprehensible addition of Croatia to the region makes Southern Europe a rather interesting region. In fact, out of the few leagues in the region, only the Maltese league offers no value in terms of scouting. Croatia, Greece and Turkey all have a few clubs in the league with strong squads, able to compete in Europe, so with players good enough for almost any club. Cyprus has a less strong league, but the financial power of the league means they are often able to attract interesting players from more obscure countries, who get their first taste of European football on the island. Looking at the Youth Ratings for this region, we can discard Malta altogether as a source of valuable newgens. Quick quiz question, name one Maltese player who has really made a name for himself in Europe… That’s right, there are none and FM is pretty accurate in its depiction of reality. Cyprus has a few decent players every now and then, which makes this country worthwhile to research in combination with the cheap Africans. Greece, Turkey and especially Croatia are all well worthy of your attention. In all three nations, it’s usually the big clubs that produce the most interesting players. In Greece, this means scouting clubs like Panathinaikos, PAOK and Olympiacos (and to a lesser extent AEK), in Turkey that means the three big Istanbul clubs Galatasaray, Besiktas and Fenerbahçe as well as Trabzonspor, in Croatia that means Dinamo, Hajduk and Rijeka. Especially Galatasaray and Dinamo Zagreb are a conveyor belt of talented newgens. They tend to fluctuate, but not that much overal. The Turkish and Greek leagues have a higher reputation than the others in the region, so players there tend to command slightly higher transfer fees. It should be noted that the Istanbul clubs are competing with European subtop clubs in terms of transfer fees and wages, so signing players from these clubs is expensive. They tend to fluctuate, but not that much overal. The Turkish and Greek leagues have a higher reputation than the others in the region, so players there tend to command slightly higher wages. It should be noted that the Istanbul clubs are competing with European subtop clubs in terms of transfer fees and wages, so signing players from these clubs is expensive. Croatia, Greece, Cyprus and Malta are part of the EU, so players from these countries are free to move around Europe without any restrictions. Turkey isn’t part of the EU, though Turkish players are not counted as foreigners in the German leagues.